Earlier this year, Facebook rolled out a feature that allows users to snooze specific keywords, in order to declutter their feeds. Now, according to feature-spotter Jane Manchun Wong, Facebook seems to be testing a new feature that allows users to control what content appears on their profiles. The new keyword blocking feature effectively bans comments that contain specific “words, phrases or emojis” that users don’t want to appear in comments on their timeline, although these comments would still be visible to the users who posted them and their friends. This feature could be great for users who are very public. Facebook Page admins can already block certain keywords from appearing in comments, and users are already able to mute keywords for a specific time period, however, this new feature takes a step forward, allowing users better control. Instagram has announced they are introducing two new improvements to make it easier for people with visual impairments to use Instagram. The first feature is automatic alternative text so users can hear descriptions of photos through their screen reader when they use Feed, Explore and Profile. 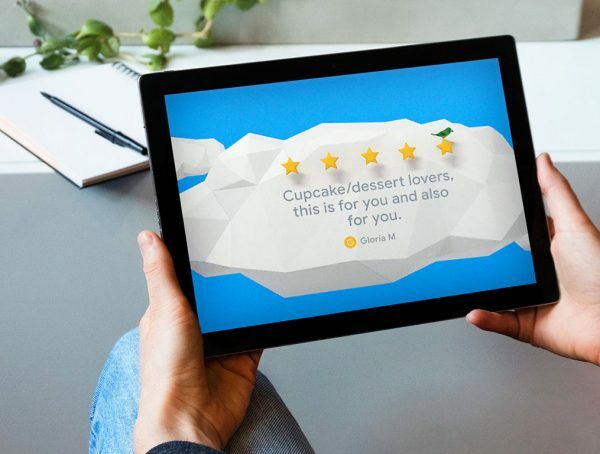 This feature uses object recognition technology to generate a description of photos of screen readers so you can hear a list of items that photos may contain as you browse the app. The second feature is using custom alternative text for users to add richer descriptions of their photos when uploading a photo. People using screen readers will be able to hear this description. With more than 285 million people in the world who have visual impairments, we know there are many people who could benefit from a more accessible Instagram. With everyone shopping for the holidays and Christmas, Google has launched new seasonal social post styles to help small businesses get noticed. These post styles feature information about a business and reviews from their customers. They can be found on Google’s Small Thanks, a hub for free marketing materials, like free posters, social posts and more. All a business owner needs to do is to go to Small Thanks and enter the name of their businesses. Google does the rest and generates a range of marketing materials featuring a customer review. These social posts can be shared on social media channels or as posts on your Business Profile on Google. There, they’ll be able to be seen by potential customers in Google Search and Maps. Facebook launched Watch Party inside Groups earlier this year. It’s a feature that lets users watch videos simultaneously together and interact with each other. Now, the feature is expanding to every page and profile in the world. Not only does Watch Party enable you to watch videos with your friends, but it also lets you interact with other viewers while watching. In fact, Watch Parties generates 8 times more comments than non-live videos in Groups. With the latest release, Watch Parties are also getting some cool new features. For example, threaded comments will allow viewers to have more meaningful conversations. Meet Knickers, the 7-year-old Holstein-Friesian who is believed to be Australia’s biggest cow. At 6 feet 4 inches tall and 3,086 pounds, he is almost as tall as famed basketball player Michael Jordan. For reference, the average Holstein-Friesian dairy cow typically stands at 4 feet 10 inches and weighs about 1,500 pounds, making Knickers a rather large outlier. Knickers has gone viral due to his large size and the internet is really loving him. Geoff Pearson, Knickers’ owner, said that the cow’s size saved him from slaughtered as he was too big to go into the export plant chain. He will live out his life on the farm, where he’s become a natural leader among other cows. Holy cow. Disney’s recently released The Lion King movie trailer is a popular hit with fans and nothing short of a nostalgic masterpiece. It has been watched over 47 million times (at the time of writing) and is #1 on trending on YouTube. 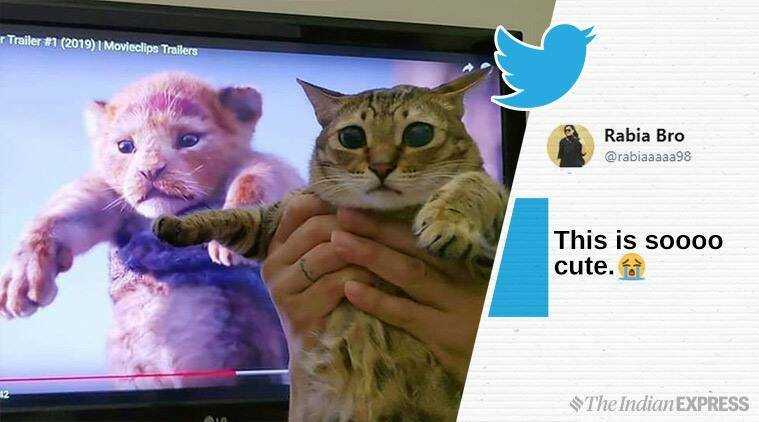 Many nostalgic fans on social media are recreating the iconic coronation scene of Simba from the movie… with their own pets. There are many adorable recreations featuring the cutest dogs and cats, so knock yourself out here. ICYMI, Jameela Jamil, actress starring as Tahini in Netflix’s The Good Place, has been involved in a shed load of tea-spilling drama recently, where she dragged celebrities who promote detox teas on their Instagram accounts. She specifically called out Cardi B, Iggy Azalea and Khloé Kardashian, as well as Pere Hilton, in a series of tweets where she branded the weight loss products “laxative nonsense” before recalling her own experiences with similar detox teas that left her with “digestion and metabolism problems for life”. Jameela doesn’t seem to be ready to stop calling out detox tea and those who promote it just yet. In fact, she just uploaded a hilarious video on social media and it’s savage. featuring Jameela drinking a pretty gross drink and pretending it’s alright when she’s, in fact, unable to leave the toilet for the past three days. The video went viral, with more than 200,000 views on Instagram and 6,000 retweets on Twitter. It’s clear to see from the replies that people are really loving Jameela for calling these celebrities out. 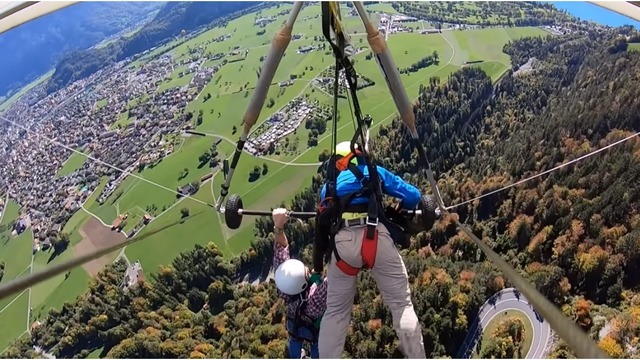 A US man has experienced an “unexpected twist” when he decided to try hang gliding on holiday in Switzerland – and discovered his instructor had failed to secure his harness. The video depicts Mr Gursky as he was forced to spend minutes desperately clinging to the glider while the pilot controlling it tried to find a safe place to land. As the pilot was finding somewhere safe to land, Mr Gursky started to lose his grip and the pair continued to gain altitude despite the pilot’s best efforts. Hanging well below the craft’s landing gear, he clutched desperately at the pilot’s leg as the pair made their final descent. Mr Gursky said he suffered a fragmented distal radius fracture to his wrist that required surgery after the crash landing and tore his left bicep tendon. Despite his near-death experience, Mr Gursky would attempt hang gliding again as he “did not get to enjoy” his first flight.